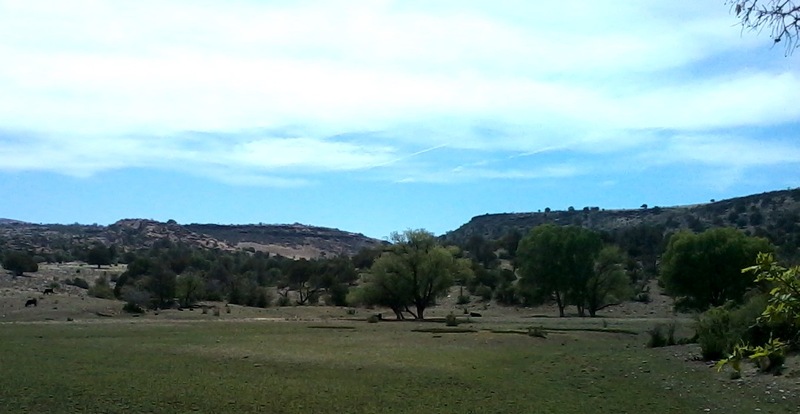 I lived in Prescott, AZ in 1978, ended up building a house for myself there, doing labor on it daily, and worked for awhile for Prescott College as their PR and communications person. 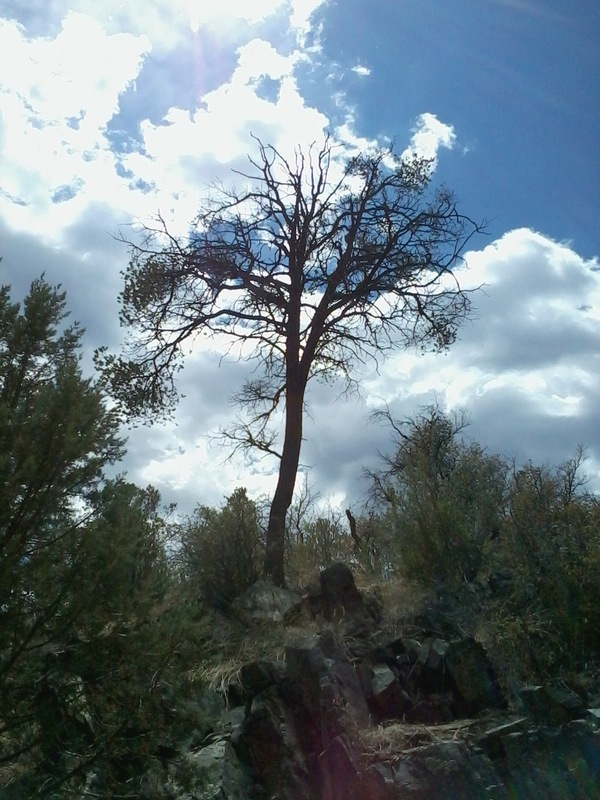 That ultimately led me to a Findhorn workshop and then my guidance to create a wellness center. That has led me to 34 years of research on resorts and wellness centers around the world, and boxes of research, business plans, etc. 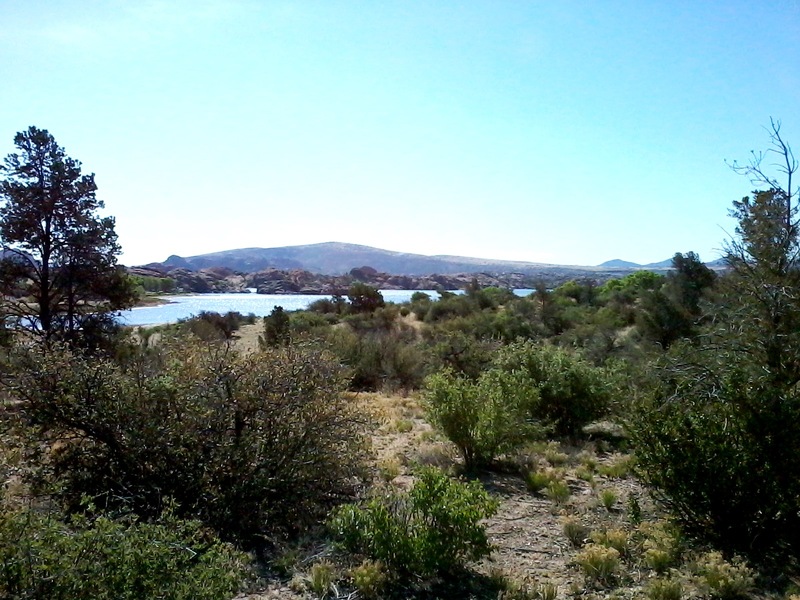 I was led back to Prescott in May, staying only a few blocks from the downtown Plaza. 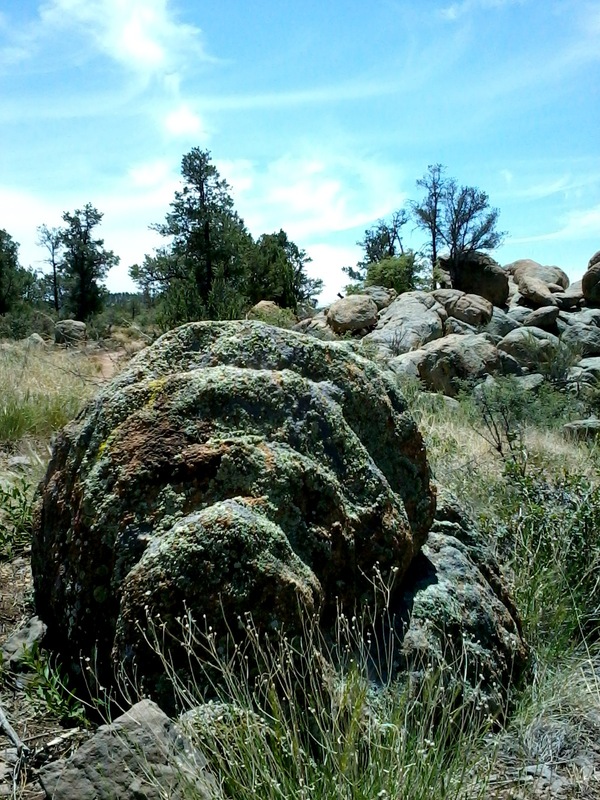 I got to know more about Prescott in the few weeks I was there than I had in the year I lived there before. 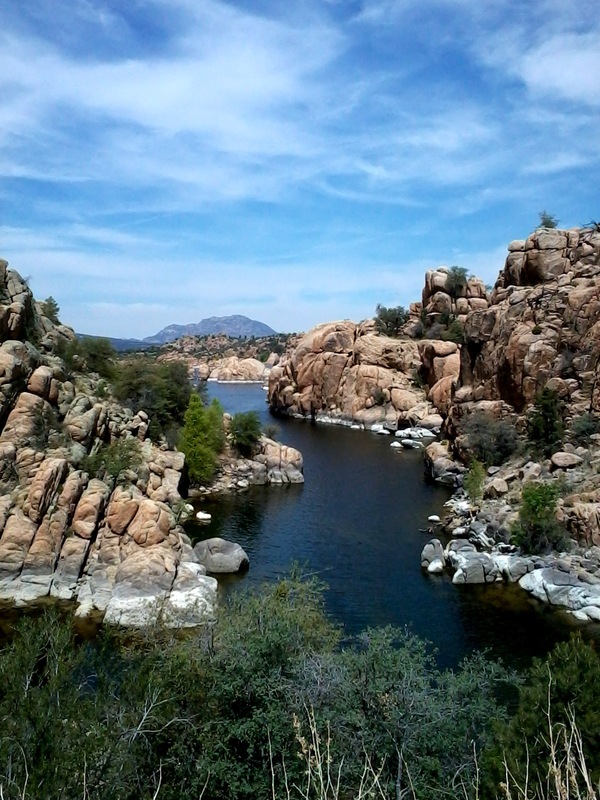 My parents used to take me to Prescott as a child, to help lessen asthma symptoms,too.. Something about being up higher in elevation was helpful for me. It was great to find out more about this sweet mountain town during this last visit To me, it is the perfect size…big enough to have some stores, culture, movies, music and small enough that you can get anywhere within minutes, and if you live in the town part, you can walk to most everything. It is very community oriented. I spent quite a bit of time walking, taking the free downtown tour to learn of it’s history, walking to the Sharlott Hall Museum to find out more about her and the pioneer history and walking to the Smoki Museum to find out more about the Native Americans who used to live there. There is a stream and path that goes through the side of town and leads to a small park. There was often farmer’s markets and other vendors and music in the plaza on Sundays, and the last weekend I was in the area I went to a drumming circle held at the library as part of their annual music festival. There is a pretty Inn in town, the Hassayampa Inn, built in 1927 when hundreds of residents came together to fund it, the first hotel purchased in that way in the US. Will Rogers, Georgia O’Keefe, DH Lawrence, Tom Mix, Greta Garbor and Clark Gable stayed there. The lobby ceiling is beautifully tiled. I drove out Williamson Valley road twice and finally found the house I had built. Whoever bought it has added on to it and put up a fence around it so I couldn’t get very close to see it. My house was 12 miles out Williamson Valley Road. 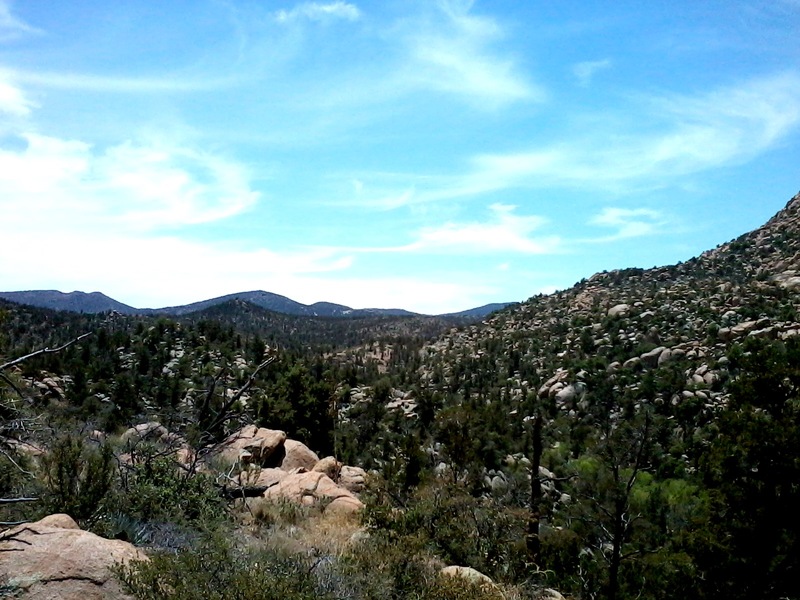 I did go on a few hikes and will share them here. The Williamson Valley Road hike starts at a little parking lot. The first time I hiked it, I just walked through the metal gate and took the eastern most path out and back, hiking about 1 1/2 hours. 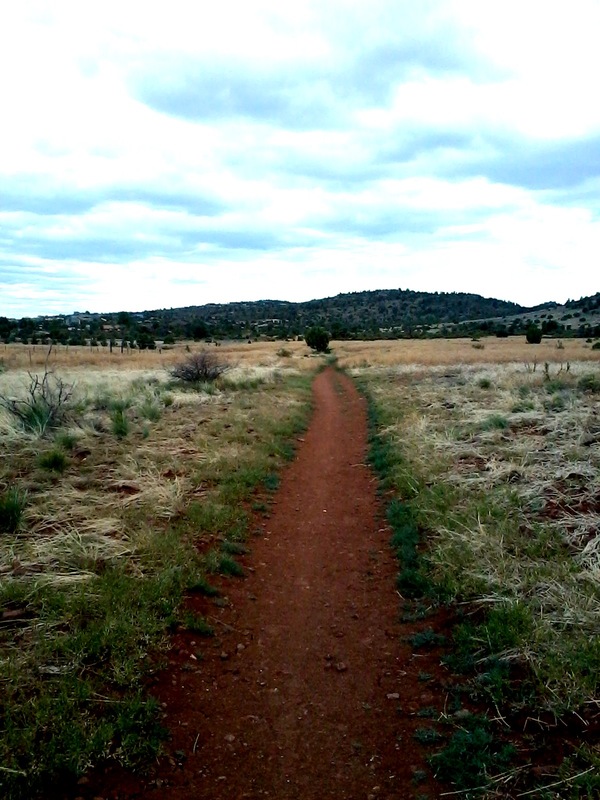 The second time, I turned right after just walking through the gate, taking the #308 trail (I think) , out past chapparal and some mesquite, then turning left to walk up and over the foothills there, and coming out to meet the path I had taken the first time, leading me back. 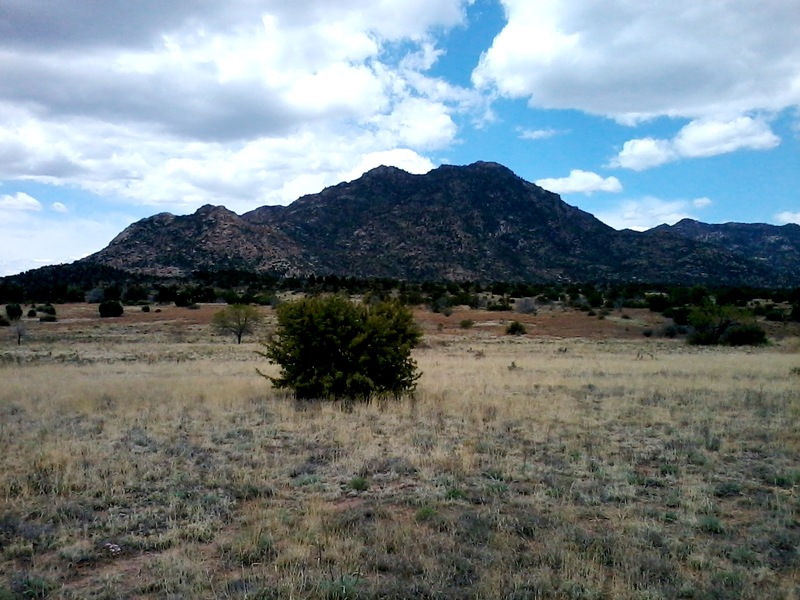 You can see great rock outcroppings and Granite Mountain in the distance. The loop was around 3.7 miles. 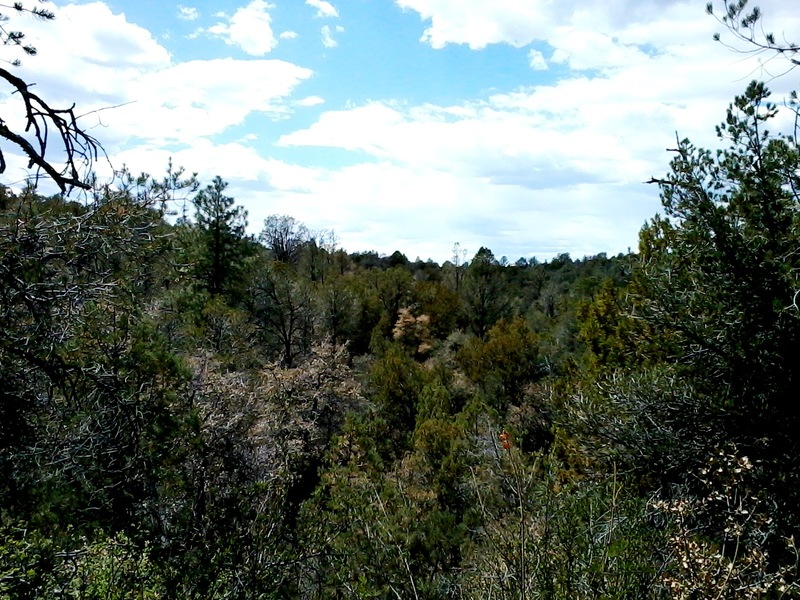 The Peavine Trail is an old 1893 railway path. 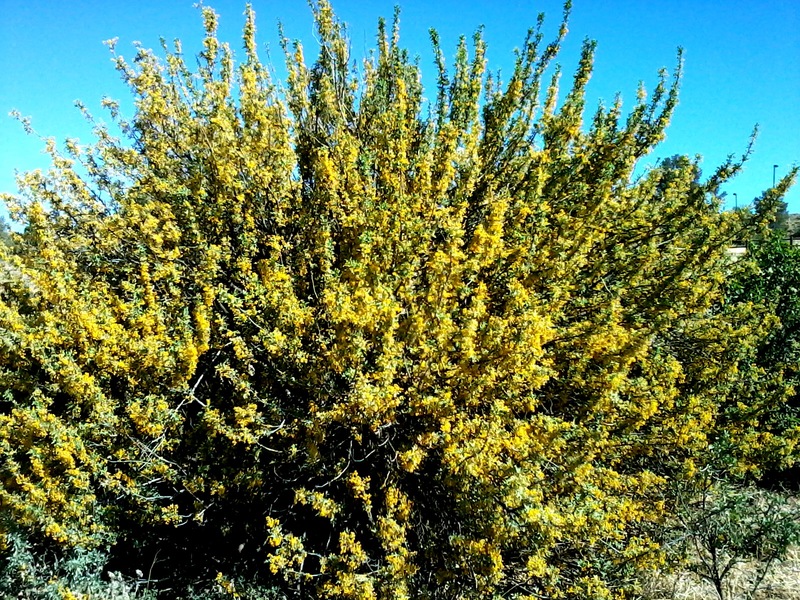 You can access it off of Hwy 89 to Prescott Lake Parkway to Sundog ranch road and park in a parking lot there. There is a $2 fee or free on Wed. There are a couple other ways to access this path, too, as it connects with other paths. It is 4 miles out. I walked about 2.5 miles out and back. 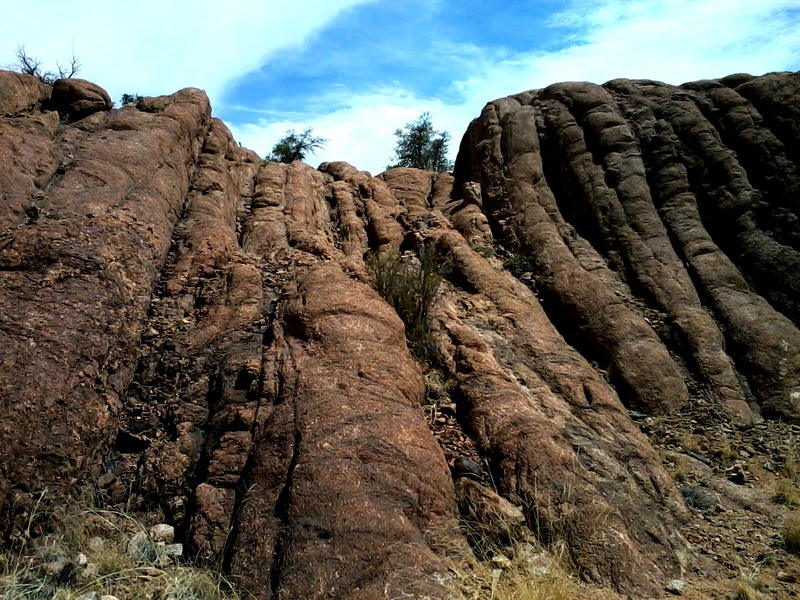 You pass by Watson Lake and the beautiful and unique Granite Dells. It is an easy walking or biking path. 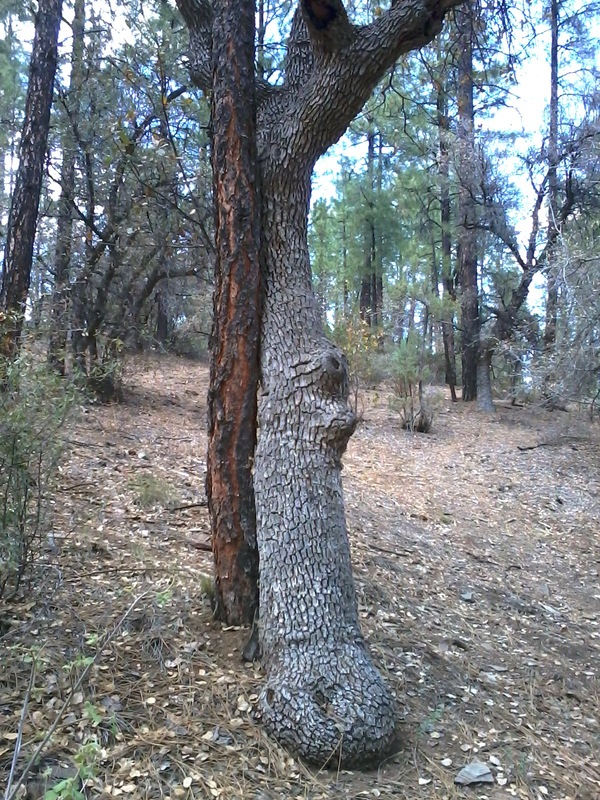 I walked the Lynx Lake trail two or three times. It is only 2 miles long and 1/2 of it is paved for access for people in wheelchairs. It goes around Lynx lake, a lake for fishing and boating but no swimming. 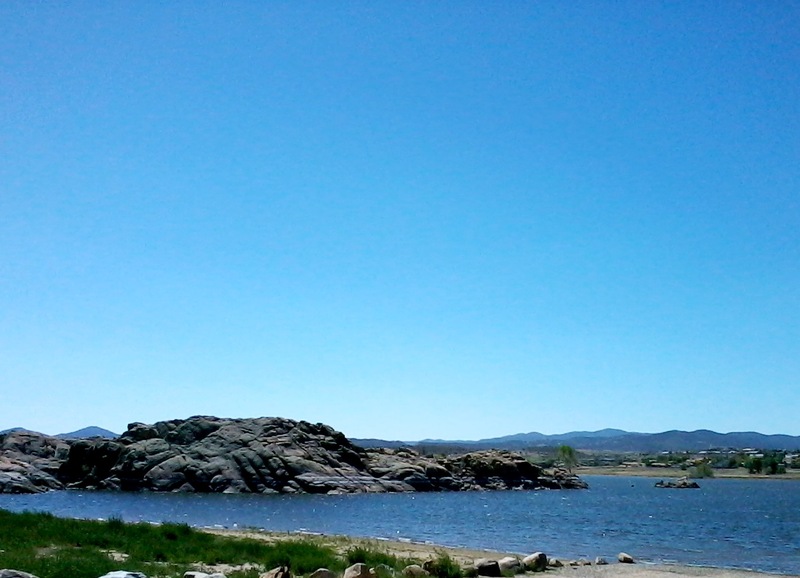 For some reason, you aren’t allowed to swim in any of the lakes in Prescott. 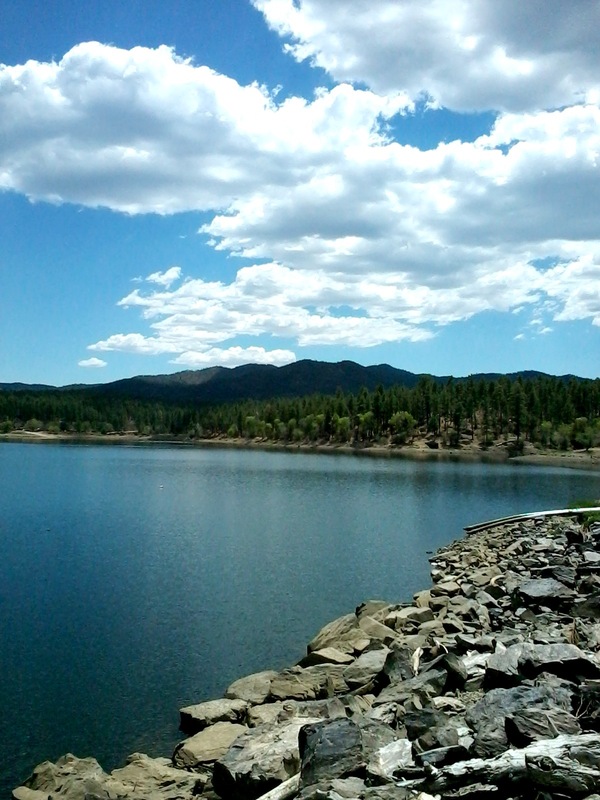 To access this lake, you drive on Hwy 69 east from Prescott, go south on Walker road and follow the signs to Lynx Lake. 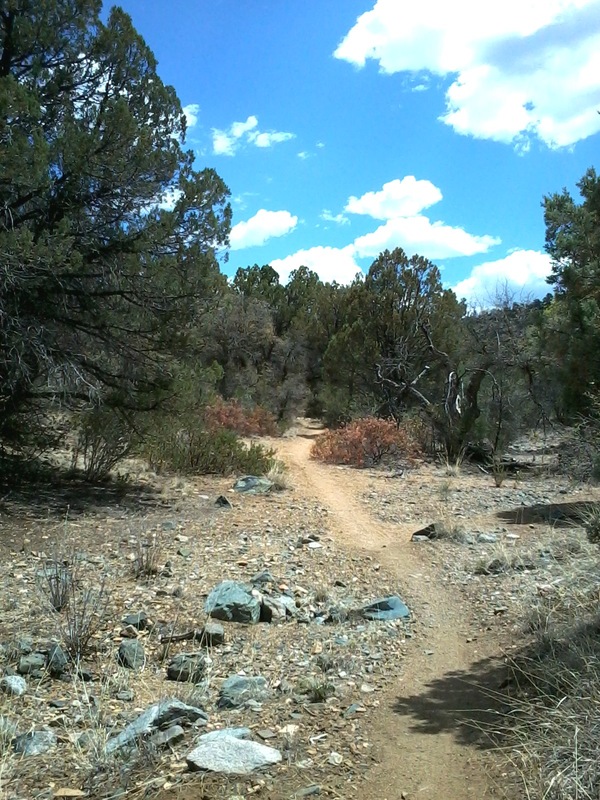 There are several trails in the area, and a campground. There is a fee to park at the lake. 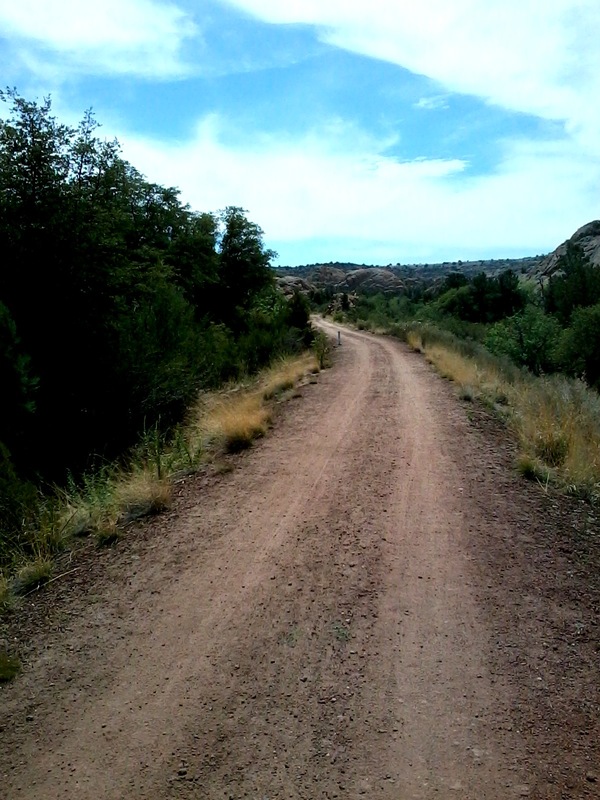 The Salida Gulch trail is on the way to Lynx Lake, except you turn east off of Walker Road onto Lynx Creek road. On the way to the trailhead you will pass a sign for Lynx Ruins, which is a short hike that takes you out to some old native american ruins. There is a fee for that parking lot but not for the Salida Gulch trail. 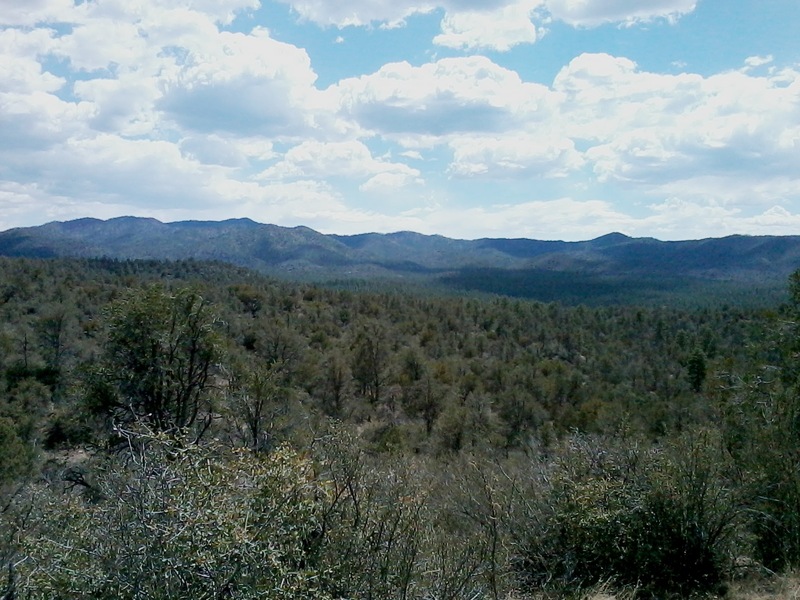 The Salida Gulch trail is a 4.2 mile loop that takes you pass cactus, willow trees, walnut trees, ponderosa pines, chaparral, an intermittent stream area, and you see glimpses of the Bradshaw mountains. During the hike you are hiking up and then down on the way back. 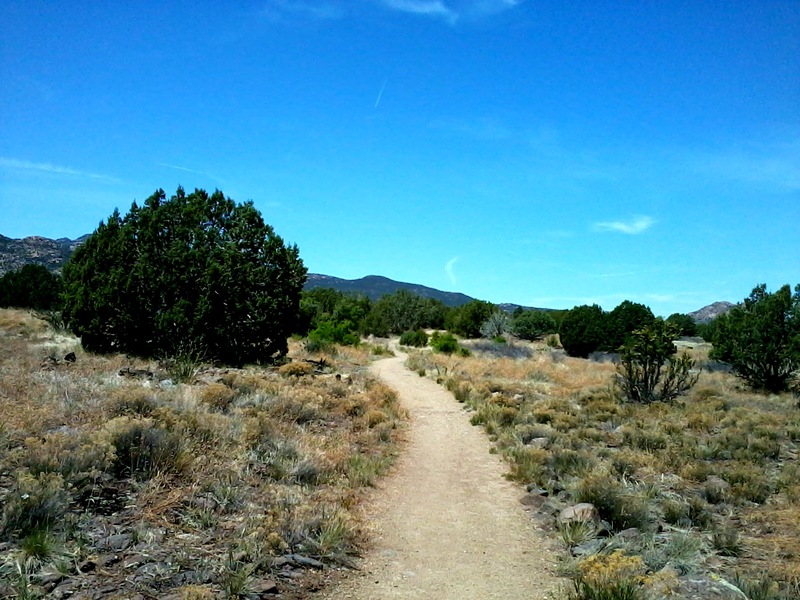 The Willow Lake area is pretty but part of the trail leads you next to traffic and that is a little disconcerting. 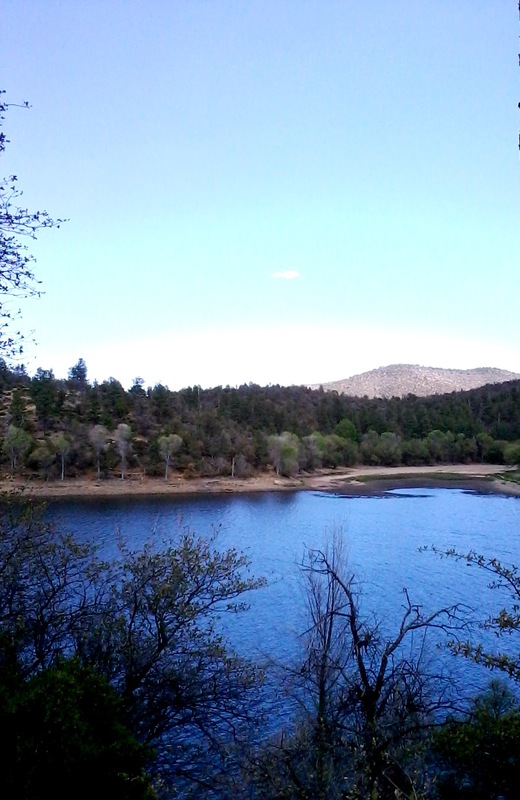 There are beautiful Cottonwood trees next to part of the path and Willow Lake also borders the Granite Dells. On the hike back, I had looked up the path and hadn’t seen anything and then all of a sudden there was a long snake stretched across the path. I screamed and it quickly slithered off. I felt disappointed as I love snake energy and would have liked to have seen more what kind of snake it was, but I missed it. 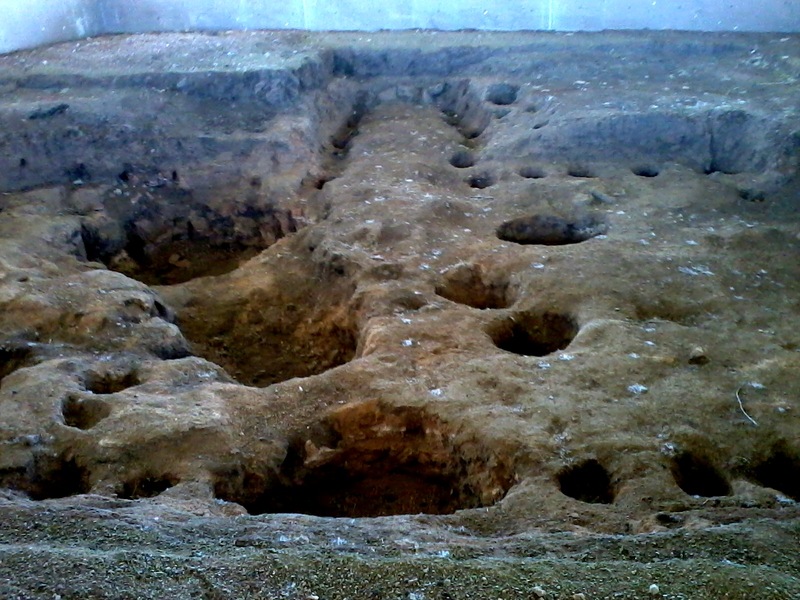 When I got back near the beginning to the path, I explored some semi-enclosed buildings and it turns out they were ruins from local tribes. 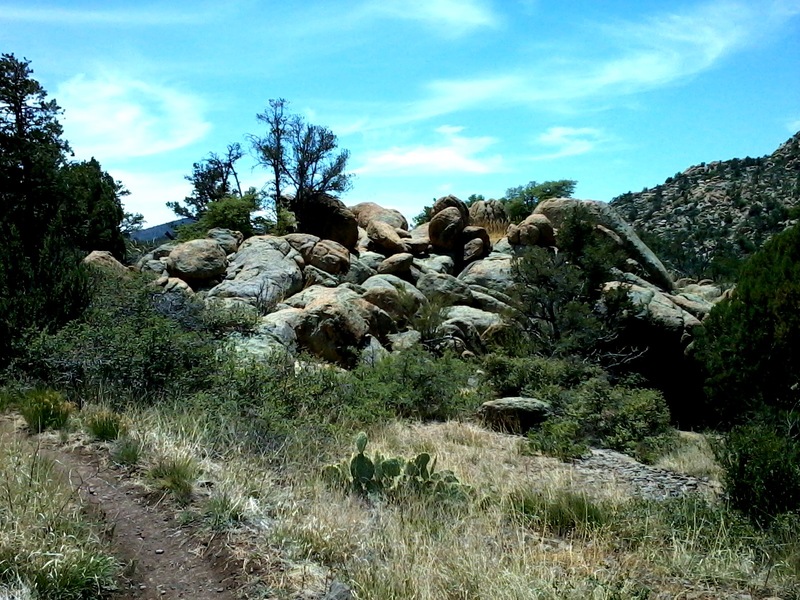 There are many other trails around Prescott but these are the ones I checked out!